Morganite vs Diamond: Is Morganite a Good Investment? 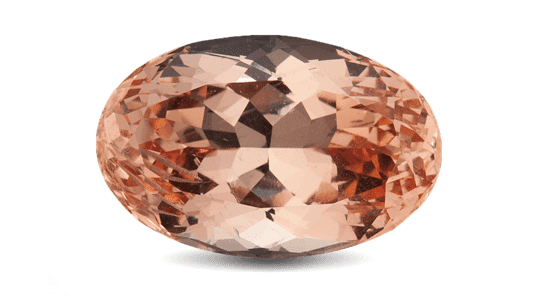 Morganite is a pretty, rare, semi-precious stone. It’s a variety of beryl that comes in a peachy-pink shade, usually. 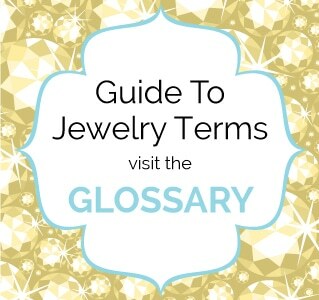 If you haven’t heard about it until now, you may be more familiar with other beryls, such as aquamarine or emerald. Its warm overtones make it perfect for an engagement ring, and in the recent years it has become very popular for this, rivaling the diamonds. Today we’re going to tackle a recent issue, morganite vs diamond, when it comes to engagement rings. The refractive index of diamond is 2.42. Wearing a diamond engagement ring is already a centuries old tradition. Especially if your parents or grandparents chose this gem, it would seem more likely for you to choose it as well. Not to mention that it never goes out of fashion. Furthermore, it gives people a sense of success and comfort. A diamond ring has been a symbol of love ever since diamonds were discovered. Women in Europe and the U.S. accepted and carried on the tradition we were talking about earlier. As such, giving someone a diamond ring is the highest proof of love. If you didn’t know already, the diamonds are the most durable stones you can find. On the Mohs’ scale, devised by German mineralogist Friedrich Mohs in the 19th century, diamonds are 10. 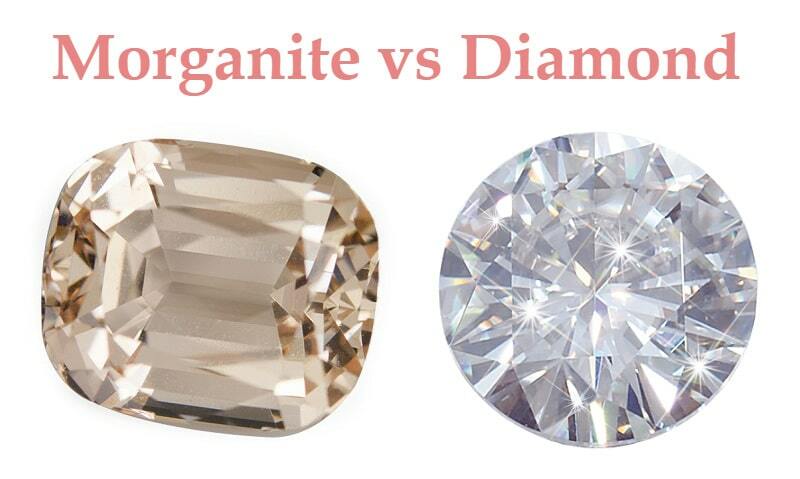 Another plus for diamonds in the morganite vs diamond battle is the fact that diamonds go with anything. Whether you wear it only on special occasions or daily, they’re suitable for anything. 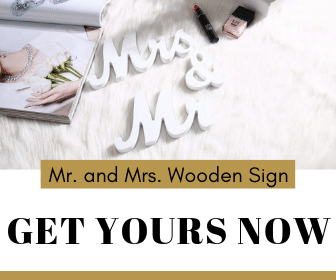 They’ll match any type of clothes, occasion, or setting. Obviously, diamonds are a clear symbol of luxury, acknowledged by everybody in the Western society and not only. So if you want to be sure you impress all your friends and relatives, you should go for it. 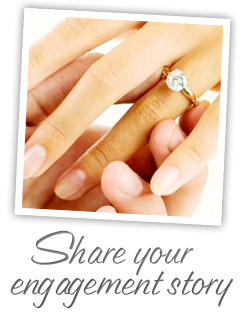 It may seem a little off, but tradition is also one of the cons for choosing diamonds for your engagement ring. If it’s a tradition, this means most people have one. And for those of you who want to be original, this may be an issue. Another problem with this is that the tradition was created artificially towards the end of the 1800s by the De Beers company. They were the one to create the entire picture of the diamond as a masculine sign of leadership. Considering all the arguments we already mentioned, diamonds are the most expensive stones you can find on the market for your engagement ring. Moreover, many people think that the bigger the diamond, the bigger the love. In this way, there is a pressure created that pushes people to spend a lot of money on this. However, if you don’t have a big budget, it probably isn’t a good idea to go for a diamond ring. Not many people are aware of this, but the diamond industry often leads to plenty of problems. If you are interested in human rights issues, you should know that blood diamonds in Africa, for example, are gained by exploiting workers and mining illegally. You should inform yourself about the origin of the diamonds before purchasing them. Now that you have a general idea about the pros and cons of diamonds, it’s time to move to the second part of our morganite vs diamond battle. Let’s see a brief list of pros and cons for morganite as well, and then draw a conclusion. One of the most convincing arguments that makes people choose morganite over diamonds is the fact that it’s significantly cheaper. 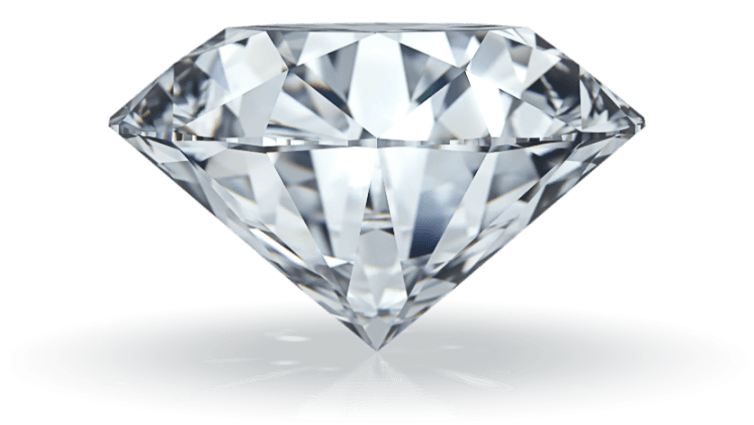 If someone asks you a price that is like the one for a diamond, you should make sure it’s not a fraud or that you’re not being scammed. For most people, it’s the meaning found behind the ring that is important, not the money you spend on it. 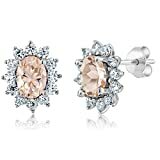 With its pale peach or violet shades, morganite has a romantic look that brides to be will appreciate. It conveys a certain elegance and luxury, even if it’s not a diamond. Moreover, these colors will give it a romantic aspect, which is great for people who are looking for a vintage aspect. If you want to have a pink stone ring, you have the option of not spending a fortune on a pink diamond. 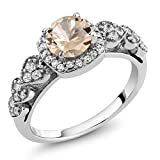 In this case, morganite is an excellent choice. Moreover, you can find other shades of morganite as well, depending on your own preferences. MADE OF REAL SOLID 925 STERLING SILVER - This 100% Natural Morganite Ring is made of solid 925 sterling silver, with 925 Stamp. This composition makes this ring extremely tough making it suitable for everyday use. Every piece passes rigorous inspection. So you can buy with confidence. CARAT TOTAL WEIGHT - 1.86 CT (This item is proudly custom made in the USA). 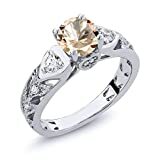 Center Stone: 6 mm, Small Stones: 2.75 mm and 2 mm, Morganite Ring (All the sizes displayed are in stock) Crafted in 925 Sterling Silver. ELEGANT AND SOPHISTICATED - this gorgeous ring promises a carefree and comfortable wear. It's design is meant to accentuate the fingers beautifully. This design is simple, classic, elegant, fit for any occasion as daily wearing home and office. it can be matched with any outfit + It makes a Great Gift!! Carefully packed in beautiful jewelry box. SATISFACTION GUARANTEED: We stand behind our products and guarantee your satisfaction. If for any reason you're unsatisfied, this set comes with a "no questions asked" return policy and money back guarantee. Customer service is paramount for us, which is why our patrons come first. Morganite is not as prestigious as diamonds, so people might not be that impressed with your ring, if they care what the material is. Moreover, it’s not as expensive either, so a picky bride to be might be unhappy with it. One of the most convincing cons for morganite is the fact that it gets dirty quickly. Many women who wore it complained that they had to clean it at least twice a week if they wanted the stone to be sparkly and appealing. The bright side is that you can simply clean it with soapy water and a soft toothbrush. Considering morganite isn’t as sturdy as a diamond, it may get damaged quite fast. If you leave any edges outside the setting, they might chip easily if you wear the ring daily. This means that you need to invest in a protective setting. Finally, another one of the morganite cons is the fact that the quality can vary. Customers will not get any certification from GIA as a protection. However, there are some other ratings to help you assess the quality of a stone. To draw a conclusion, we can say that morganite might not be an investment as good as the diamond but it’s still a popular stone for engagement rings. Still, the first and foremost problem is the fact that it’s not as sturdy and it can get damaged quickly. Moreover, it requires a little maintenance, unlike diamonds. However, it’s still a rare and precious stone, so many people still appreciate its beauty and value.